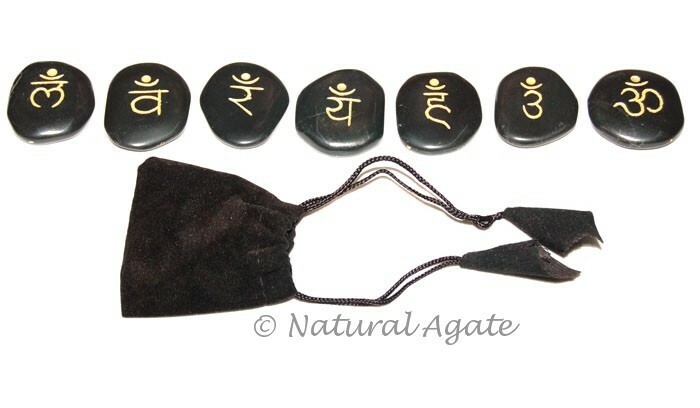 Black Stone Sanskrit Set is available at Natural Agate. The set has seven stones corresponding to seven human chakras. These stones with Sanskrit mantra engraved on them activate the chakras and ensures flow of energy in the body.